Chris Brauns with both a terribly sad and laugh out loud funny experience he had at a nursing home. I'm going to try this every week starting on Sunday afternoon and running through Tuesday (Writing Day). My prayer request for Tuesday is to get about 5 pages written and map out the end of chapter 2. We are now just one month away from Resurrection Sunday. And for the next four weeks, we’re going to continue to go deep into the experience of our Lord Jesus on that last night and morning of His death. These next few messages will be increasingly more serious and solemn. Not totally sad–because we know what all of this means for us. But deadly serious and very solemn as we consider what Jesus went through for us. And then we get to celebrate the glorious Resurrection Sunday! We’re going to see what happened when our Lord was arrested by the authorities. Yes, our Lord has a rap sheet. He has a record with the authorities. Jesus knows what it’s like to be arrested. And today, I’d like to look at it through the lens of His experience. What did Jesus go through...for us? We’re going to hang what we see on four hooks this morning. Four things that Jesus painfully experienced at the time of His arrest. Four things He went through for you and for me. The first happened right before His arrest. And we’re going to call it anguish. The other gospels tell us that this place on the Mount of Olives was a garden called Gethsemane. It seems that this was the place that Jesus was going each night after teaching in the temple each day of this fateful week. And this is the night. They’ve had the last supper in the upper room. Jesus has predicted His betrayal, His disciples’ sifting, and His own suffering. And they’ve left the upper room and gone up to the Mount of Olives, as usual, and there Jesus tells his disciples to pray. V.39 again. How terrible was His anguish, His agony! It was, primarily, a spiritual anguish. The physical anguish, the physical agony, will come soon enough. But this is Jesus’ anguish at just the idea of what’s going to happen to Him. He is so much in anguish that He sweats as He prays. How many of us have prayed so intensely that we have sweated? It doesn’t count if you are praying at half-time of a ball game. Jesus is sweating because He’s praying so intensely in anguish. So much sweating that Luke says it was like drops of blood pouring out of His head. And notice in verse 44 that the more He was anguished, the more He prayed. We tend to give up prayer if we’re hurting after a praying a bit. But Jesus knew that more prayer was what was needed when He hurt so badly. What was He praying, in so much anguish, about? What cup would make the Lord Jesus so anguished in soul? There is no other place in the four gospels where Jesus is so anguished. Most of the time, He is confident, bold, and fearless. But here, He falls to His knees and almost begs His Father to take away this cup if at all possible. What cup does this to Him? What cup, in just anticipating it, anguishes Jesus like this? It is the cup of God’s righteous wrath against sin. This cup is the experience of the Cross. This is the cup of the wrath of God brought in perfect justice, for those who deserve it, to drink! That’s what Jesus is staring at that causes His soul to be in anguish. That’s what’s in this cup. We can learn a lot about how to pray from verse 42. A lot. Notice that Jesus prays to His Father. God is, to Him, a loving father, and that changes how He prays. God is not just the Lord of the Universe. He is Daddy. And Daddy’s want to be asked for things. Do you to pray to God as your Father? And He asks the desires of His heart. We can learn a lot about prayer from that. Prayer is offering up our hearts’ desires to God. Sometimes we are afraid to ask God for big things for ourselves. This is about the biggest prayer request there ever was! Take away the cross! Take away the cup! Please! If at all possible. If you are willing. Take it away. Don’t be afraid to ask God for relief from your suffering. Jesus did. Don’t be afraid to ask God for big things for yourself. It’s not selfish to pray for your self. You can pray for selfish things for yourself. But the way you know whether you are being selfish or not is how your prayer ends. Jesus’ prayer ends with glad submission to His father’s will. He submits His will to the will of His father. And there was no other way. No other way for us to be saved than for Jesus to drink this cup. All of our prayers should have this submission as part of them. Jesus knew the answer to this prayer. But He still had to pray it. It was offering up His heart to His Father. Did God answer this prayer? God said, “No,” but he heard His prayer. Sometimes, it feels like God doesn’t hear our prayers. I think that a key application here is to learn to pray like Him. Praying to God as Father. Asking for our heart’s desires. Offering up our heart to God. And reverently submitting to His will. And praying more earnestly knowing that we are heard. But an even greater application is to thank Jesus for saying yes to the cup. Because the Father said there was no other way to save us. There was no other way than to experience (#2.) great injustice. Jesus did not deserve the cup of wrath. We saw at the beginning of the month, how Judas and the chief priests and the teachers of the law had made a conspiracy to arrest Jesus when there was no crowd. The moment of His arrest has come. Judas, who knew where Jesus normally went at night, led the way. He was one of the Twelve. He as an apostle. He was in the inner ring of leadership in Jesus’ band of disciples. And He betrays Jesus. V.47 again. Kisses aren’t meant for enemies. They are meant for loved ones. What has Jesus ever done to Judas to deserve this? He is talking about the injustice of it all. The reason they come at night is because they know that they are in the wrong and they know it. And Jesus shames them with it. They are the lawbreakers! And darkness is going to reign for the next several hours. They are the darkest hours in all of human history. We’re going to see that even more next week when we study Jesus’ trial before the religious and civil leaders. But here is the surprise–the application is not just to be just and to seek justice where there is injustice. But to thank God for this injustice. To thank Jesus for undergoing this injustice. He lets the authorities arrest Him. Not only does He heal the man’s ear who has come to drag Him off to a farce of a trial, but He also doesn’t run and (more to the point) He doesn’t just blast these guys into the oblivion they deserve. Do you remember back in chapter 4 when a big mob in Capernaum got mad at Jesus and drove Him to a cliff to push Him off? Jesus could have done that right here. But He didn’t. And He didn’t for you and me. Praise God that Jesus accepted injustice to make the unjust just, to make the unrighteous righteous. That was injustice, but God used it to bring justification! The kiss of Judas was reversed to become the kiss of God for you and me. Jesus was not just betrayed by a disciple. He was abandoned by all of them. Just like Jesus said he would. Three times before the rooster. Can you imagine the moment when they locked eyes across that courtyard? It was a terrible moment for Jesus. He was rejected and alone. And it was a most terrible moment for Peter. He went outside and wept bitterly. It’s important for us to realize that this could happen to any of us. We like to beat up on Peter because he’s a good punching bag. But would we have done any better? How many times have we denied Jesus ourselves by simply being silent? We need to take heed here and not be proud. Thankfully, we know how this ends. We know that Peter’s tears are repentant, unlike Judas’. And we know that Jesus forgives Peter and puts him back to work in ministry. There is hope for those who have momentarily rejected Him. But, even more importantly, I think this passage call us to OWN JESUS ourselves. To not disown Jesus like Peter did but to own Him. Publicly. To not be silent. And to no deny. To speak up and identify ourselves with Jesus as His followers. To own Him. I’ve enjoyed teaching our baptism class the last several weeks. I think we’ve got a big bunch of believers who are going to go public with their faith on Resurrection Sunday. I’m hoping for as many as 10 on day! Because baptism is one of the ways that God designed for us to not be ashamed of Jesus to but own Him before the watching world. Tell your co-worker what you believe about Jesus. Tell the kid at the desk next to yours, the locker next to you, at school. Ask them to come to Resurrection Sunday and hear these testimonies of faith in Jesus. Imagine if Peter had said it all the other way. And later, Peter does just that. And so should we. Own Him. And thank Jesus for being rejected. The worst thing here was not what happened to Peter but what happened to our Lord. This is where the story become excruciating to tell. Have you ever seen anyone get beaten? Ironically, Jesus had prophesied that they would hit Him! That’s two prophecies in a row that Jesus got right. Denied and Beaten. He probably wished that His prophesies didn’t come true! And they said the meanest things to Him. I’m glad we don’t know all of what they said. The Greek word here is blasphemo, these insults were, literally, blasphemies. His spiritual anguish became physical agony. And He didn’t deserve it one bit. If you are not yet a faith follower of Jesus Christ, why not? He did this for you, will you not turn from your sins and trust in Him and His payment for your sins on the bloody Cross? He was tortured to save His people. Turn from yours sins and receive Him as your Savior and Lord. He endured a Hell on Earth so that you wouldn’t have to endure a Hell after your life. For those of us who are faith followers of Jesus Christ, this passage should make us cringe with the injustice of it all but also make us so grateful that we want to sing songs of praise. One of the surprises (which shouldn't have been) of working on this doctoral project on the sin of gossip is just how sinful gossip can be. I wanted to pick a "garden variety" temptation that we all face daily and write helpful things about it, and gossip rose early as a possibility. What I wasn't expecting was that, as I got further into researching it, I would discover depths of depravity and feel dirty just by getting close to it. This shouldn't have surprised me. Gossip finds itself in terrible company in list of sins in Romans 1 and 2 Corinthians 12. Gossip is always seen as negative, distasteful, undesirable, dangerous in both testaments. Gossip is bad news delivered badly from bad hearts. Gossip is sin. Sin is yucky. What did I expect? A few weeks ago, I read Scorpion Tongues: Gossip, Celebrity, and American Politics. It was well researched and clearly written but it made me feel icky to read all of that dirt about people who should be honorable (and some of them were honorable just had their names drug through the mud). I'm glad to be able to write about resisting gossip and about responding when it comes at you so that the gospel remedies for this problem get taught to others. But I'll also be glad to be free of the yucky-ness of gossip, too. That's a good reason by itself to work to finish this project quickly and well. Thank you for praying for my writing week! I had a great week, productive and joyful. I wrote 30 pages of dense, "academic" prose. One day for outlining and then 4 days of about 7+ pages/day. I think I have about 10 more pages to go for this chapter to be ready to submit to my adviser. Hooray! Thank you for your prayers. It now seems inevitable that I will get chapter two done, and even soon. (It doesn't yet seem inevitable that I will finish the whole thing.). My online fast went really well, too. I found that I didn't miss it, and it really cut down on the "noise-level" in my heart and life. It went so well, that I'm going to try to do it more. 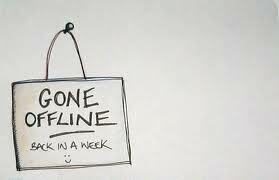 I am going to start going offline every week from Sunday afternoon to Tuesday morning. I really found that I had more time for prayer and family. Pray for my re-entry into online life and full bore ministry. I came back to work Tuesday morning to 164 emails and a number of pressing ministry needs. Pray for the quick establishing of priorities and for fruitful engagement in people's lives. Call me the Hermit of Lanse. I'm going offline for a week starting this afternoon. This week is my writing week. I hope to write Chapter Two of the project (approximately 25 pages of biblical/theological writing about the problem of gossip). Pray for productivity, precision, and perseverance for this project! And while I'm doing that, I decided to take a one week online fast -- no email, no Facebook, no blogs, no favorite websites, etc. I still might need to use the internet to find a fact or something for my project, but I'm going to pretend that I'm a hermit this week and focus on prayer, writing, and family. I'd appreciate your prayers for this. I'm kind of a "wired" guy who likes to be "in the know," so this is a stretch for me--but I think a good one. Thank you! I'll let you know how it went in a week or so. [Matt's Messages] "Jesus' Last Lessons"
We are at the Last Supper. Thursday night of Passion Week. The night before Jesus’ crucifixion. Last week, we talked about the plan for Jesus to die. First, the plan of His enemies (verses 1-6) and then the plan of His Father which Jesus also chose (verses 7-23). Jesus planned to die. And at this Last Supper with His disciples, He told them about that plan and gave them a beautiful, simple, and powerful illustration of that plan in what we call “The Lord’s Supper”–the bread symbolizing His body and the cup symbolizing His blood, the New Covenant that He would inaugurate with His death. We’re still right there at that Last Supper together. A shadow has passed over the room. What began as a glad celebration of God’s deliverance in the Passover has taken on a graveness and a sober character because Jesus continues to predict His suffering and His death. It’s getting dark inside. Night is falling. So what we read next (verses 24-38) is “Jesus’ Last Lessons” for His disciples before His crucifixion. This is His last chance to deliver some teaching. His last chance to give them some instructions before He is dragged away. More was said at this last Supper than what we have here in Luke. If you read Matthew, Mark, and John, you can see more of what Jesus taught His disciples in the Upper Room. John, especially, has a lot more teaching to share there. But this is what the Holy Spirit led Luke to emphasize in His Gospel. And it’s what the Lord wants to say to us today. The disciples sure could be real dummies, couldn’t they? Jesus has just given them the most hauntingly beautiful prediction of His death that there ever was (bread and cup), and these dummies are arguing about their ranking in Jesus’ organization. Do you think it’s me? Or maybe they were taking each other’s sides. I think Peter’s the greatest. I think Matthew’s the greatest. I think that John’s the greatest. How about Judas?! And this was not the first time that they had had this argument. We heard them arguing about this already in Luke 9. But you might have thought they had learned something by now. These guys could be really thick-headed dummies. And that’s good because that’s me. Right? That’s us. It’s sometimes hard for us to learn. Here’s lesson #1 today of 3. In Jesus’ kingdom, to serve is to be great. The one who is greatest is the one who serves. Jesus says that the world does it backwards. “The kings of the Gentiles lord it over them; and those who exercise authority over them call themselves Benefactors.” That’s a joke. “We’re your Benefactors! Bow down. Do what I say. Don’t be like that. Titles are not where it’s at. You can say that you are Benefactor without benefiting anyone. “But you are not to be like that.” Don’t lord it over others. Don’t insist on being first, on having your own way, demanding and dictating. The Gospel of John tells us that at this very meal, Jesus actually got down and washed all of their feet. Like a common servant. Now, that does not mean that Jesus stopped being the Lord. He didn’t relinquish or abdicate His authority. So, this does not abolish authority in the home, the church, or the world. But it does tell us how we need to exercise our God-given roles of authority. How are you doing at serving others? Take a mental inventory of your last week. How did you serve other people this week? In what ways did you bend over and wash someone else’s feet? That’s where greatness can be found. Do you know who I think are some of the greatest people in all of the world? They have to serve people and they have to stoop to do it. The world gets excited about politicians and rock stars and movie stars. But they aren’t great like a mother of young children is great. Often they are also the ones serving at the table, aren’t they? Last week, we had our Wild Game Dinner. And Keith and I and Dr. Dave got to hold the microphone and stand up front. You might think that we were great. And somebody needs to do those things. They are valuable. But if you wanted to know who was truly great, then go back behind the doors to the kitchen. See who was there hours before setting up chairs. Who was swabbing the deck afterwards. Who was praying in secret and we don’t know what their name was. In Jesus’ kingdom, the greatest are those who serve in both attitude and actions. Let this be an encouragement to you if you are active in service and so many of you are. And let this be a lesson to you if you are not. Now, these disciples have just been real dummies, but that doesn’t stop Jesus from giving them great grace. He notes that up till now they have stood with Him (even if they didn’t understand Him), and He is graciously giving them a Kingdom. Wow! “Just as my Father conferred one on me.” Double Wow! That’s the big feast coming that we talked about last week in verse 18. There is a Messianic Kingdom coming, part of the 1000 year millennial kingdom that will come when Jesus returns. And these disciples will sit on thrones (king!) judging the twelve tribes of Israel. They can afford to serve because they will receive reward. That’s how it worked for Jesus! He served and will be rewarded with the kingdom. There is so much here to think about. “Satan has asked to sift you as wheat.” And the “you” there is plural. The 2011 version of the NIV says, “Satan has asked to sift all of you as wheat.” That’s right. But it’s Simon Peter that Jesus is most concerned about at this moment. What does it mean to be sifted like wheat? We don’t do that today. But it means tested, right? Separating the wheat from the chaff? How did that test work? Simon, Satan wants to shake you. He’s asked for it. Who did He ask? He asked God. Like He asked God to shake Job. And that should scare us and comfort us. Scare us that God is involved in our being shaken. Even if it’s Satan shakes Japan, He’s got to get permission first. But it should comfort us. Because Satan has got to ask permission! The evil one is not in charge of the world, even of the evil things in this world. God is in ultimate control! And He’s somebody we can trust. “But Jesus has prayed for you.” How comforting is that? That’s what Jesus is doing right now for you and me who belong to Him. Praying. Interceding on our behalf. What was the answer to that prayer? Well, Simon certainly failed. We’re going to see that real soon. Tonight. He didn’t think he was going to. V.33. Peter is going to fail. But, I’m not sure that his “faith” failed (v.32). He sinned. He denied. He broke. He failed. But Jesus’ prayer did not. He knew that Peter would turn back. He would make a comeback. V.32 again. I love that call for Peter, when He turns back, to strengthen His brothers. He’s going to be shaken. And He’s going to fail. But he’s going to get back up and when he does, he’s got a job to do. And when he does, he’s got a job to do. Some of you feel down this week. But here’s the lesson from our Savior: Get up and get busy strengthening others. Don’t let your sins beat you down. Don’t let the shaking of Satan keep you down. Get up and get to work, strengthening your brothers. When Peter is “officially” reinstated at the end of the Gospel of John, Jesus tells him to feed his sheep. Who are you strengthening today? We tend to just look at our own sins and shortcomings and trials and troubles, and we don’t look up and see who needs our help. Here’s Jesus’ last last lesson in the Upper Room from Luke. This is a reminder of the times when Jesus sent them out with nothing but His mission and God’s providence to supply for them. And they didn’t lack because God was faithful. Jesus wants them to remember that for two reasons. One, because God is faithful. They will need to remember that soon. And Two, because the situation is now changing. They will no longer be popular. They will no longer be a part of a Rock Star Entourage. No longer can they expect favor with others. Not that it won’t ever happen, but that’s not going to be norm now. Take supplies with you wherever you go. Be prepared. Even take along a sword for self defense. He’s not starting an army here. That’s not how His kingdom comes! But things will get rough, and it’s okay to defend yourself. Following Jesus from here on out will be difficult. Jesus is going to be numbered with the rebels. He’s going to be seen as a rebel, a bad guy. He’s going to identify with wrong-doers, and get labeled as one. And if that’s what is going to happen to the Master, then how should the disciples expect to be treated? That’s how we can expect to be treated as followers of Jesus Christ. It’s an historical anomaly that in America and in Europe, Christians have been highly respected. But it’s not our right and it’s not what we can expect forever in the future. Jesus told His disciples to be ready to suffer. I don’t like hearing that. I don’t like being readied for suffering. But we need to hear that. So that we don’t get huffy and whiny about how we are treated. But instead are like Peter and John in Acts chapter 5. They had to go before the authorities and they were flogged (ouch) and ordered not to speak in the name of Jesus. And they (Acts 5:41), left the Sanhedrin rejoicing because they had been counted worthy of suffering disgrace for the Name of Jesus. Because Jesus suffered for us. Can anyone tell us where this prediction of Jesus came from? In verse 37? “And he was numbered with the transgressors.” Where is that from? Written over 700 years before Jesus was born. I had a "breakthrough" this morning as I was thinking about the gossip project. It's kind of like most "aha" moments in not seeming like a big thing afterwards, but it was a long time in coming and also was just in time. For the last several months, I've been trying to organize my work on the biblical data about gossip around the major story-line of the Bible, the redemptive/historical Big Story of the Bible. But gossip just doesn't fit very well on that story-line. The "doctrine of gossip" just doesn't have much of a development throughout the Bible. I can make a case for a minor level of development, but not a major one. So, it just doesn't make sense to organize my research that way. Simple, no? So, now I'm re-thinking my organizational schema, and my heart is much more at peace. Thank you, Lord. Next week is a whole week dedicated to writing. I'm not going into the office, not doing counseling, teaching, visitation (except for emergencies or crises), etc. Just 5 eight hour (plus) days of writing. My goal is to write Chapter Two of the project (Biblical and Theological Foundations). I hope it's do-able in a week. I believe it should be as long as I don't lose my focus. And to keep focused, I'm going to try something I've never done before--a total online fast. I'm not going to check email, Google Reader, or Facebook. I'm not going to write emails. I'm not going to visit my favorite sites. I'm going to try to go offline for an entire week, starting Monday. There may be some things I have to get online--information for the project. And I'm not sure how I'll keep from doing email since my to-do list for the project is embedded in my email. The goal is to spend any time that I might have done that on: prayer, family, or the project for one whole week. I'm trying to get myself ready for that. I think it could be really hard good. Tomorrow is my first full writing day in 2 weeks, and I'm looking for prayer. Please pray that I would get quickly reorganized and finish my research/outlining so that next week, which is a whole week devoted to writing, will be productive. My goal is to finish Chapter Two of the Project (Biblical and Theological Foundations) by March 19th. That seems really difficult, but I believe it is possible with the Lord's enabling. I've decided to try to work on chapter 3 (Historical Precedents and Current Cultural Conditions) and chapter 4 (the ministry book: Resisting Gossip) at the same time. So, you can pray for that, too. Thank you! [Matt's Messages] "The Plan for Jesus to Die"
We’ve reached another turning point in the Gospel of Luke. For the last couple of months, we’ve seen Jesus win again and again in his fight with the Jewish religious leaders. Every since He came to Jerusalem, riding on a donkey, Jesus has been in a daily confrontation with the leaders of Israel. And try as they might, those leaders cannot win one against Jesus. They have been stymied again and again and they are very unhappy. Jesus has answered their questions and asked questions they could not answer. He has warned the people about them, and He has predicted the judgment and fall of their temple and city. And nobody has stopped Him. He was growing and growing and growing in popularity. But, now, that’s all going to change. Because a conspiracy is about to be hatched to get rid of Jesus. A plot is conceived to rid the world of Jesus and do away with Him. And it is a plot that will succeed. They couldn’t just come out and grab him, because they were scared of the crowds. Jesus was more popular than a rockstar at that moment, and they would lose their power if they tried a frontal attack. They’ve been looking for an opening. We saw that in chapter 19, verses 47 and 48 and chapter 20, verse 19. But they couldn’t find an opening. Remember Satan? The tempter? The one who tried back in chapter 4 to get Jesus to sin and to rebel against His Heavenly Father? Luke said then that the devil left Jesus waiting for an opportune time. They have a deal. There is now a contract on Jesus’ life. This is just what they needed to get Him. They needed inside information about when Jesus would be alone. So the crowd could not stop them from getting rid of the troublemaker. That’s their plan for Jesus’ to die. Notice again who is planning here. The chief priests, the teachers of the law (v.2), (v.3) Satan Himself the spiritual personification of sin and evil, Judas Iscariot (one of the Twelve), and the officers of the temple guard (v.4). That last one is terrible. The officers of the temple planning to kill the Lord of the Temple. Every one of these people should have worshipped Jesus but instead were planning for Jesus to die. Even more people will get into this conspiracy before it’s done. But their plan is not the only plan. In fact, it’s not the most important plan for Jesus to die. There is another plan at work here. A plan that takes into account and even uses their nefarious plans for God’s own good purposes. There is a lot to be done to prepare for a big meal. We saw that yesterday with the Wild Game Dinner. I was at church and there was a parade of people came through getting this thing or that thing together for the meal. And the Passover meal was a very special meal, supposed to be done in a special way because it commemorated the Passover–when the Lord spared Israel because of the lambs’ blood on the doorposts, passing over those homes and not taking their firstborn children. It celebrates the Exodus and the Red Sea Rescue–when Israel was delivered. So, there is a lot to prepare. But notice how Jesus has it all planned out. On the day when they did the ritual slaughtering of the Passover lambs, Jesus sent a team of two, Peter and John, to make the preparations. And it’s kind of cloak and danger. Like a couple of spies. Now, it’s possible that this shows Jesus’ divine foreknowledge and it’s miraculous. But I think it’s more likely that Jesus has made some secret preparations of His own. He doesn’t want to be interrupted at this moment. Very few people know where Jesus is going to be at this moment–even though He’ll be with all of His closest disciples. And I think the real thing that Luke wants us to see is that Jesus has a plan and He’s working it out. Jesus is in control of His own destiny. Just as Jesus had told them. And it’s a plan, not just for supper but, for suffering. And at that Last Supper before His death, Jesus tells them about His plan. And He gives them an amazing picture of that plan in deeply powerful symbols–what we call the Lord’s Supper. This is one of those passages that you just can do any justice to. My words will fall far short of communicating the deep things that are present right here. Not like in Leonardo Da Vinci’s famous painting. Not upright chairs, but reclining on low “couches” like spokes on a wheel towards a central table. Jesus is the head. He is leading the seder supper. He is acting as the host at the Passover meal and He adds His own twist to it, creating something new. Oh! 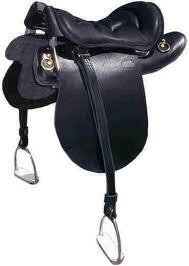 I wanted this. For us to be together this last time. For me to share these things with you. For me to tell you how much I love you. That’s His plan. Again, He knows what is coming. He has chosen it. The disciples didn’t get it. They knew there was danger, but their Master had bested the leaders at every turn. And He was so popular! But now, Jesus talks as if suffering is right around the corner. Jesus predicts that He will not have another Passover Meal until the Kingdom of God comes in all of its fullness. Remember, the Kingdom has come, and the Kingdom has not yet come, but the Kingdom will come! And when it does, the Passover will be fulfilled. The Passover itself was just a shadow of what is to come. Jesus passes out some wine in a cup to emphasize this idea. V.17. This was probably one of the earlier cups in the traditional Passover meal. Probably the first cup because He’s saying how much He wanted this meal with them and saying that it’s His last. And saying that He won’t drink wine again until the Kingdom of God comes. The book of Revelation pictures the coming of the eternal kingdom as a great wedding feast–the wedding Supper of the Lamb (Rev. 19:9-10). I’ll drink it again, Jesus says. Isn’t it interesting how Jesus is tying the past, present and future together? The first Passover, the present passover Lord’s supper that He’s creating and then that day when all is fulfilled and Jesus gets to eat and drink in the kingdom of God. Notice that Jesus passes this cup around. V.17 again. I think that points towards unity and intimacy among Jesus’ followers. We share a common cup, the one our Lord gave us. That’s the plan for Jesus to die. He plans for His body to be broken like we break bread. And He says that it is “given for you.” For you. Why don’t we just take a second right now and do that? Would the men come forward and take the bread and hand it out? Just leave your Bible open. We’ll keep going in a second. Please only take the bread if you are a believer and follower of Jesus, walking in fellowship with Him. We’re not going to play music. We’ll just sit here together like they did. Jesus knew in advance that He was going to die. This bread is His plan. It symbolizes His body given for you. In just a few short hours from this moment, Jesus’s body will be sacrificed. He will be mocked and beaten to pulp. He will be forced to carry His cross. He will be crucified–and we can’t understand what that means. If we did, we would throw up. It’s the ugliest thing in the world. Now, of course, Jesus didn’t mean literally that it was His body. His literal body was right there holding the bread. It is a symbol, but a deep symbol. It means that Jesus died for you. Men, let’s pass that out, too. Only take it if you are if you are a believer and follower of Jesus, walking in fellowship with Him. This is a power symbol. His plan was to die, to pour out His own blood. This is Jesus taking your penalty. This is Jesus paying your price. This is Jesus’ blood being spilt instead of yours. Thank you, men, you may go back to your seats. The old covenant was the covenant made with Israel through Moses. It was a good covenant full of good commands and good conditions. If they obeyed it, they would have much blessing! But they didn’t obey it. Not even one day. It was good for showing sin and showing the need for a Savior. But a new covenant was needed. One that God would fulfill in them. God predicted this covenant in Jeremiah 31. That’s what Jesus is saying is now here in His blood. Jesus is not just fulfilling the Passover. He is not just fulfilling the Day of Atonement. He is fulfilling all of the sacrifices of the Old Testament. There were so many sacrifices under the Old Covenant. So much blood spilled to show how sinful sin was. But now there is a greater sacrifice, once for all, to pay for all of those sins. A new covenant in His blood. You might have noticed that I haven’t said a word of application yet this morning. Believe in the Blood of Jesus. His plan was to die for you. If you have not yet come to believe in Jesus, start now. Put your faith and trust in what this cup symbolizes–the new covenant in Jesus’ blood. Everything you have ever done wrong is in that cup. And it’s paid for by the blood of Jesus. The cross was no surprise for Jesus. The other application is to Trust in Jesus’ Plan. You can trust Him because His plans always work out. It’s mysterious how He does it. He uses other people’s plans without violating their wills, but His plans always succeed. You can trust in Jesus’ plan. We don’t always know what it is. We don’t always understand it. I said that this week at Merrill Nearhood’s funeral. I don’t understand why the Lord would take Him. He had just come to believe in God’s reality and power. He had just been shocked by witnessing the death of a co-worker. And it had sobered Him about eternal things. He had a 7 year old daughter whom he loved very much. He was in our adult baptism class getting ready to proclaim His faith in Jesus Christ. Why would God take Him on Tuesday? I don’t know. I don’t understand. But I know that God has a plan that includes even that. And I can trust Him even when I don’t get a peek at the plan. And it was a plan for Jesus to die. "The irony and mystery could not be greater." "There is irony in the betrayal's sacred setting: a meal commemorating deliverance is also a meal that points to a sacred death. The moment is emotional on several levels: Jesus is about to be given over to the nation, and the disciples celebrate the nation's freeing by God. The irony and the mystery could not be greater." -Darrell Bock, Luke in the BECNT series, pg. 1709.